File exchange via P2P networks is starting to rise once more after a few years dominated by other alternatives, like direct downloads, that had taken a leading role. 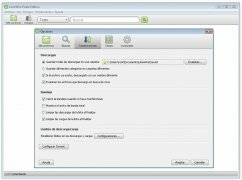 LimeWire is an open source P2P client with which you'll be able to download music, films, documents, games, books or even torrents. LimeWire was a program that was chased by the authorities due to what it offered, something that made it disappear. Nevertheless, a group of users decided to get together and offer LimeWire Pirate Edition as an alternative using the original program's source code as the base of the project. 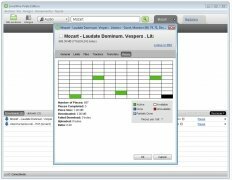 Download your files from a clear interface to do so in the simplest way. High download speed to obtain files in as little time as possible. 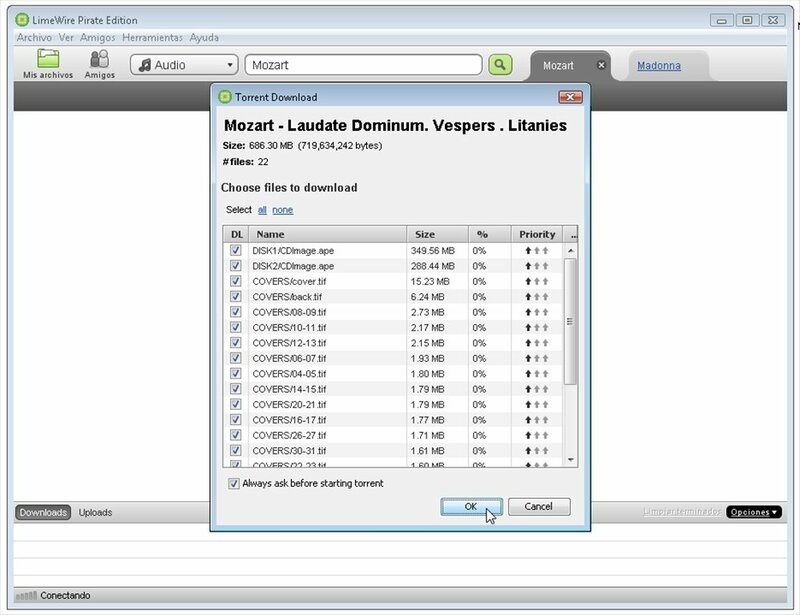 Includes other features of the Pro version of LimeWire as the download speed increase, like an antivirus or various improvements of the search engine to accomplish more precise results. 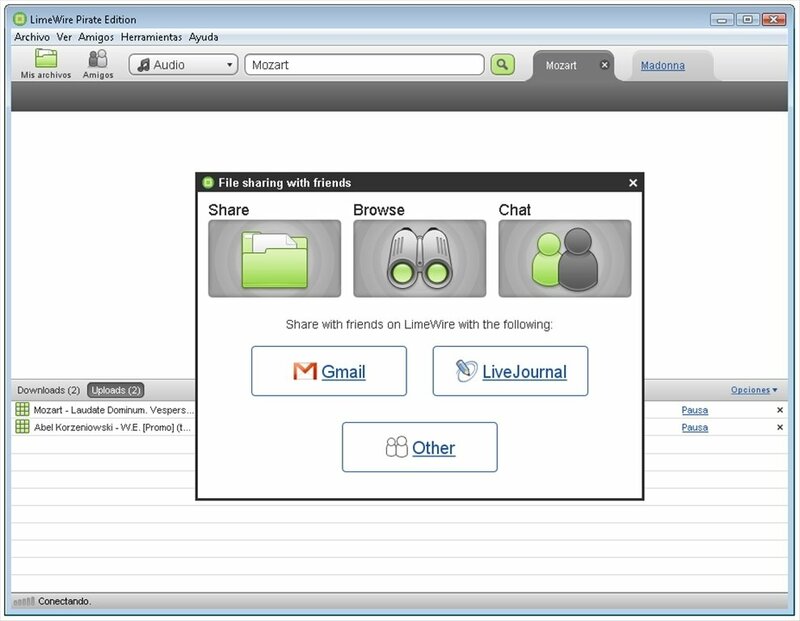 Chat with other LimeWire users. 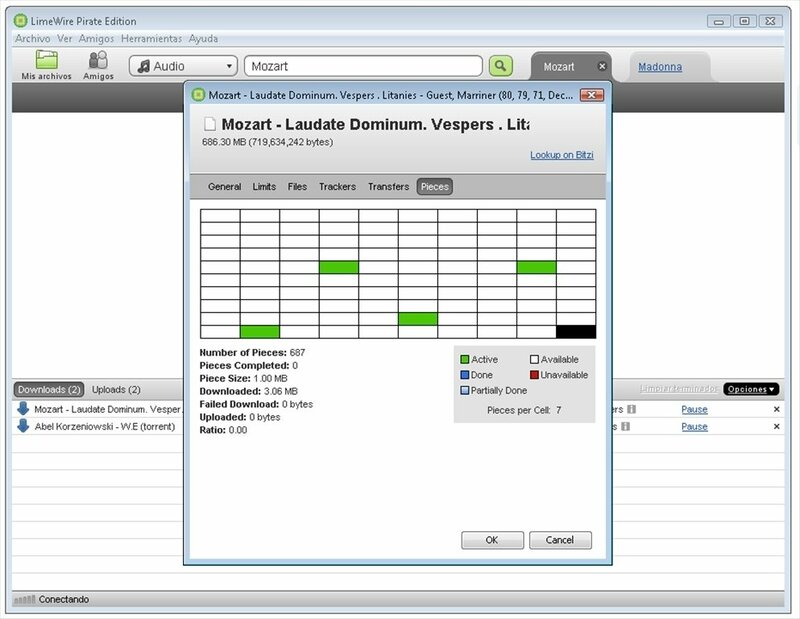 Using LimeWire is very simple, you'll only have to complete a search in the box set for that purpose in the interface. In the center you will be able to see all the results available and select them to add them to the download queue, that is at the bottom of the interface. When you download LimeWire for free you'll have the latest version available of one of the leading P2P programs. This download requires that you have the Java virtual machine installed.